This Cajun Shrimp Capellini is beautiful, flavorful, and takes less than 30 minutes to prepare! 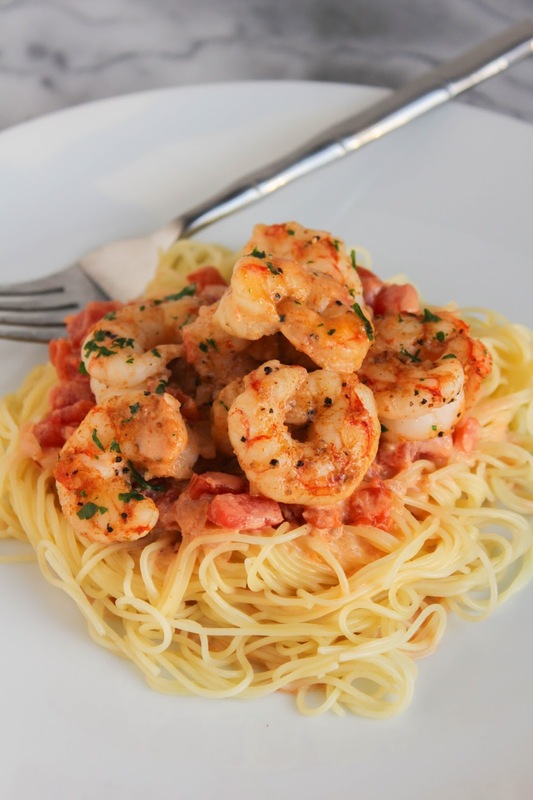 Seasoned shrimp are tossed in a simple tomato cream sauce and served over pasta. It's the perfect weeknight meal for the family! Although I love seafood, I didn't start cooking it at home until a few years ago. For some reason I was intimidated and thought I wouldn't cook it properly. No idea why, I guess I was just being a big chicken! One day, when I was really craving scallops, I decided to put aside my insecurities and buy them. I brought them home, prepared them, and you know what? They were delicious! I didn't overcook them. They weren't rubbery and tough. They were actually soft and tender and melted in your mouth. And of course I was kicking myself for not doing that sooner! Lesson learned right there. Don't be afraid, just do it! Scallops and shrimp are by far my favorite seafood. 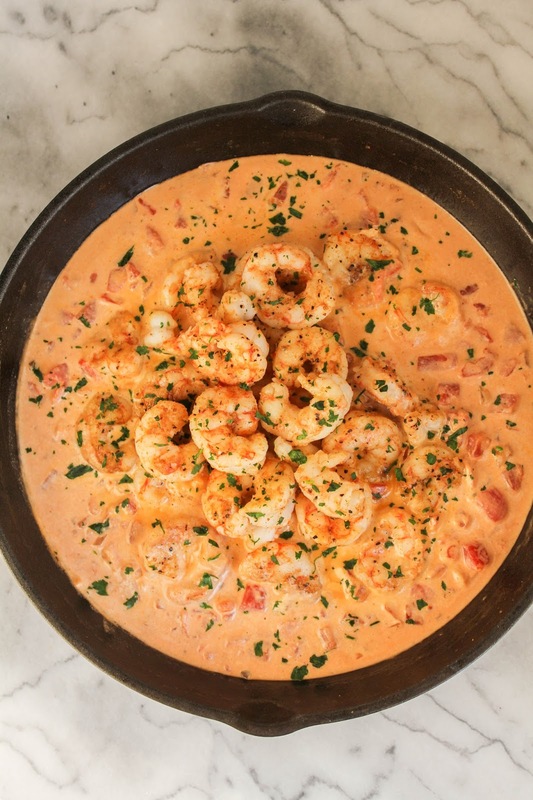 I cook shrimp at home pretty regularly now, and recently I created a meal for my family that I just had to share. 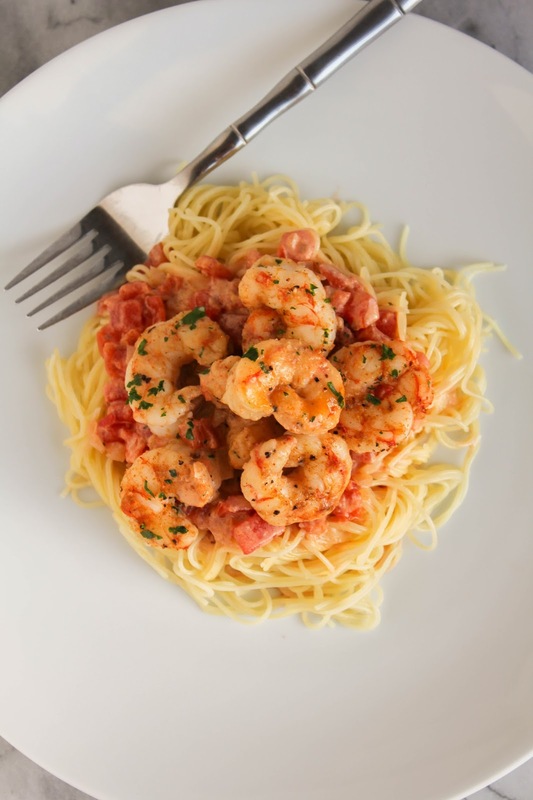 This Cajun Shrimp Capellini is so incredibly delicious and flavorful. 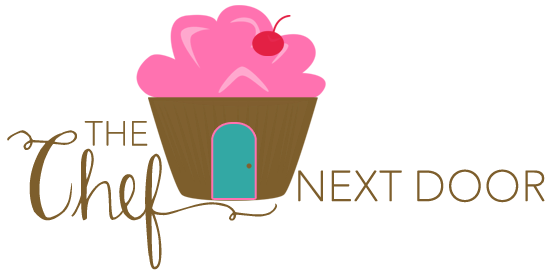 It's simple to make, plus it's super quick! You can have this dish on your table in less than 30 minutes. I love using capellini, especially during the week, because it cooks so quickly. Seriously, 5 minutes in boiling water and voila! All done. The ingredient list to this dish is short, but I promise it really is packed with flavor. And don't skimp on that heavy cream. That's what makes the sauce so creamy! Paired with a nice garden salad and a hunk of fresh bread, dinner is served. Cook the pasta according to the package directions. Drain and keep pasta warm. Add the olive oil to a large skillet over medium-high heat. Pat the shrimp dry, then sprinkle with two teaspoons of the Cajun seasoning, making sure to coat them all. Add the shrimp to the hot skillet and cook until the shrimp are done, about 5 minutes. 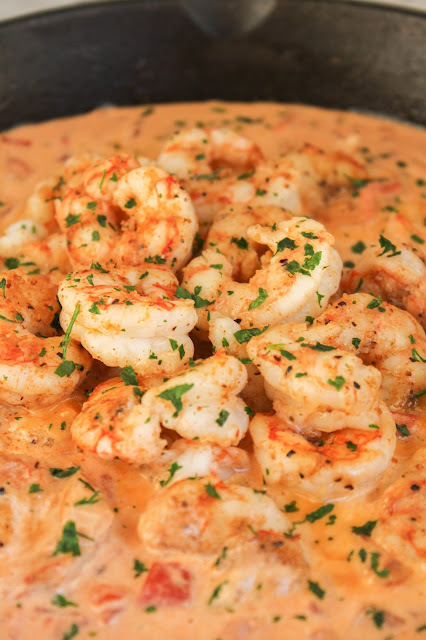 Remove the shrimp to a plate and set aside. Add the onion and garlic to the same skillet and cook for 3-4 minutes. Add the diced tomatoes and the last teaspoon of Cajun seasoning, and bring to a boil. Turn the heat down and add the cream and a pinch of salt and pepper. Cook until bubbly. Add the shrimp back to the pan and cook until warmed through. Pour the shrimp and sauce mixture over the capellini and sprinkle with the parsley.